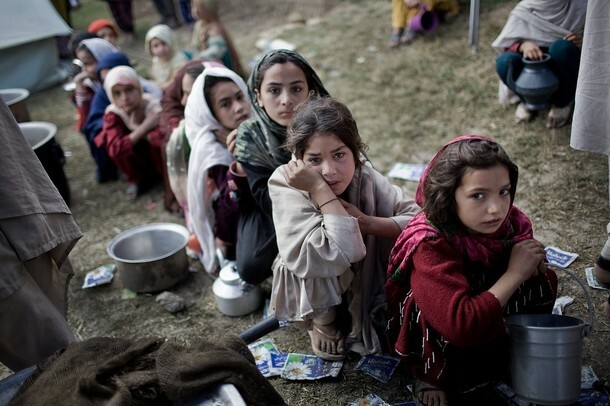 The Pakistan Army’s recent military incursion against the Taliban in the Malakand region has internally displaced about 1.8 million Pakistanis. The IDPs have fled to make-shift camps, some as far as Karachi, and are suffering from hunger-related health problems and mental trauma. The United Nations announced that this is the biggest movement of people in Pakistan since the partition of 1947. If you are in the US, Secretary Clinton has made it really easy for you donate. Just text ‘Swat’ to 20222 to make a $5 donation to the UNHCR through your cell phone. It’s really easy and takes less than a minute! You can make up to five such donations. Professor Adil Najam of Boston University’s International Relations program and manager of the well-known blog ‘Pakistaniat’ invites you to donate on-line. Here is a comprehensive list of organizations you can donate to. Donate directly to the United Nations High Commission on Refugees. Wajiha provides a list of agencies operating in Pakistan to which you can donate. Welcome, Wajiha! Thanks for posting this resource. I am curious whether you (or others) can recommend any actions one can take that don't involve money. This is not because I don't think providing assistance is important, but because I don't have a ton of money right now and would like to help beyond just writing, which I'm not doing much of anyway. Are there action alerts or other steps that one can take to help? Pakistan is on a mission. It will not be easy but the country seems determined. The Taliban must be removed in order for this nation to move into modern times. At least the modern times that Pakistan will be comfortable with. Although some will disagree, it seems to be the best approach for the long term success of this country. Lives will be lost and civilians will be displaced which of course means suffering. But if they don't get a handle on it now the overall future will be much worse. The Taliban is a terrorist organization... pure and simple. They murder women and children because their minds are warped. They cannot be the law of the land in any country. The leaders of Pakistan know this and now they fight for the future of their land. The free world has an obligation to help these displaced Pakistani citizens while this battle for control wages. How long will this take? No one knows. But we can feed these people in their hour of need. Talk to friends, churches, organizations, and groups that want to get involved. There seems to be several agencies doing good work already that we can continue to support.